American and British spies infiltrated World of Warcraft and Second Life, using the games to monitor what they think are terrorist communications, recruit informers, and gather data on communications between players, according to classified documents uncovered by the non-profit investigative journalism organization ProPublica. Xbox Live activity also was monitored by the agencies, which include the FBI and CIA in the United States. 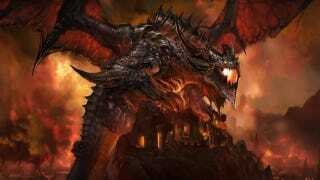 A spokesman for Blizzard Entertainment, makers of World of Warcraft, said neither the National Security Agency nor the United Kingdom's Government Communications Headquarters had gotten Blizzard's permission to gather intelligence on the game. A Microsoft spokeswoman declined to comment, while current and former executives at Second Life maker Linden Labs also declined comment. [Update] To Kotaku, a Microsoft representative provided the following statement. "We're not aware of any surveillance activity. If it has occurred as reported, it certainly wasn't done with our consent." The spying was so prolific, according to the documents, American agencies had to make special efforts to keep their operatives from bumping into each other in-world. For all of the snooping, it turned up no counterterrorism successes, according to the documents and officials contacted by ProPublica. The intelligence agencies apparently viewed the virtual worlds as a "target-rich communication network," allowing terrorists to converse and transact business, games makers and think-tank experts contacted by ProPublica called that more trouble than it would be worth compared to other means terrorists already use. Most of the documents were dated 2007 and 2008. The British GCHQ used Second Life to help London police shut down a crime ring that was selling stolen credit card information in the game. In 2007, the NSA met with Second Life's chief technology officer, Cory Ondrejka, a former Navy officer who had worked at the NSA with a top-secret security clearance. Ondrejka, ProPublica notes, now works at Facebook. He said the meeting was similar to others he'd had with non-intelligence agencies at the time, and declined further comment. An NSA document says that its monitoring of World of Warcraft had identified "accounts, characters and guilds related to Islamic extremist groups, nuclear proliferation and arms dealing," but while those targets were playing the game, nothing proved they were using them to further their operational goals. As for Xbox Live, the British spies said they had "been able to get the discussions between different game players on Xbox Live." They scooped up three days' worth of chat and transaction data in Second Life in 2009. The documents appear not to describe any American agencies spying on U.S. citizens, which could be done only with approval from a special court set up for that purpose. Spying on persons overseas has far fewer restrictions. The report was published today by ProPublica, The Guardian, and The New York Times. Kotaku has reached out to representatives of Blizzard and Linden Lab for additional comment; any made will be updated here.